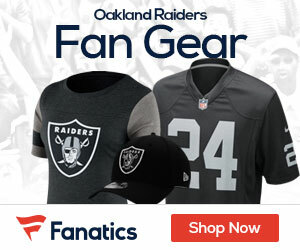 The Raiders announced Monday that wide receiver Darrius Heyward-Bey was released from Eden Medical Center after spending the night under observation, Jerry McDonald of the Oakland Tribune reports. “He is resting with a concussion and a neck strain, and expected to make a full recovery,’’ the statement said. Heyward-Bey, 25, was injured on a helmet-to-helmet hit in the end zone by Pittsburgh defensive back Ryan Mundy during a play in which no penalty flag was thrown. He was motionless after being hit, was strapped to a stretcher and taken off the field on a motorized card. While being driven off, Heyward-Bey was able to raise his hand and give fans a “thumbs up’’ sign. Coach Dennis Allen said after Oakland’s 34-31 win that Heyward-Bey was able to talk a little bit on the field. “He was able to move his extremities so that was a good sign,’’ Allen said. Get well and get back soon, Hey Bey! we need you. The nation is happy to hear you are alright!